I am a veterinarian by vocation, but my avocation is metal craft. 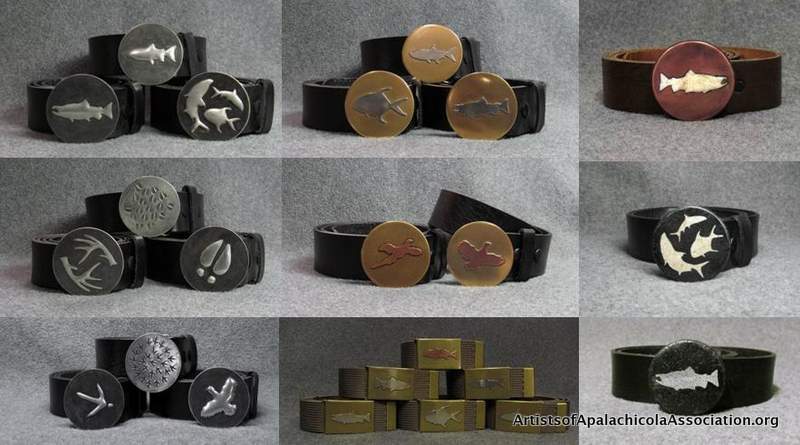 In the studio, hand tools are used to forge original designs into wearable art. Materials include ferrous and non-ferrous metals, fossil, bone, oyster/ pheasant/quail egg shell, Southern cypress, Sitka spruce, stone, and glass. The emphasis is on form, function, and natural colors. One can say that I simply make handsome, strong, and economical garb for men and women to wear anywhere in the field, on the water, at the office, or in between. 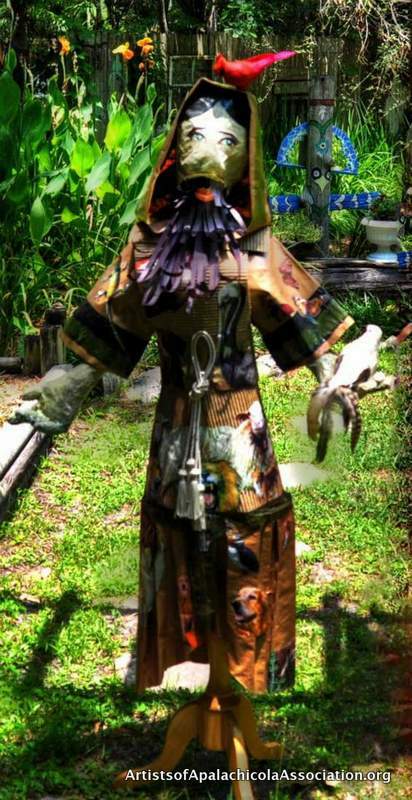 I am a papier mache artist, and have displayed and sold my work through Avenue E, Handmade in Apalach, Studio B, and The Seaoats Gallery on SGI, and now the Green Door. 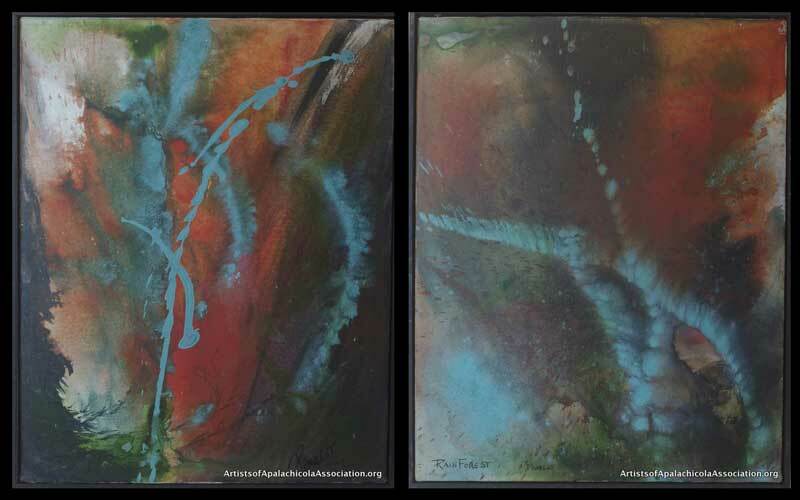 Image: “Primal” (Left) & “Rainforest” (R.) – Acrylic on canvas.